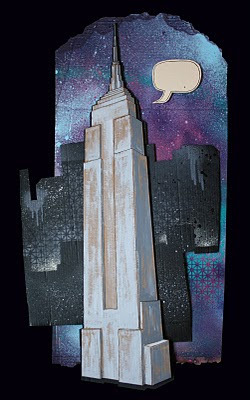 i finished this painting of the empire state building today. it is the second in my new personal landmark series. it is 3 layers of cardboard painted with spray paint, acrylic, and art markers.